Snooker Tables - Mark Brown French Polisher. Traditional French Polishing. We offer a complete polishing and restoration service for antique snooker tables. 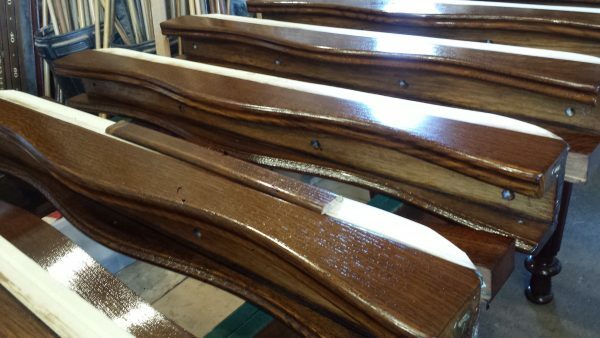 We can re-polish the woodwork, removing scratches and damage, and will re-polish to your specification. We always provide wood samples for you to choose from, with a choice of colour and sheen. Images below show serpentine snooker table cushions, before and after polishing. Serpentine snooker table cushions, stripped and ready to polish. 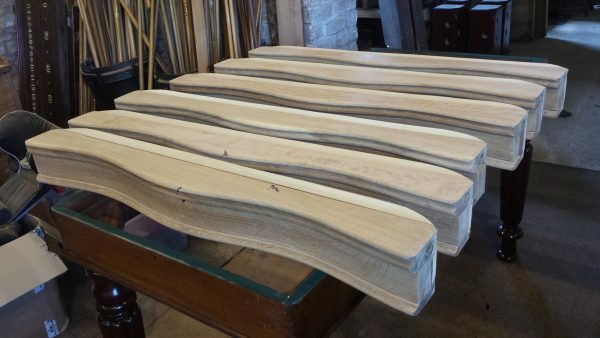 Serpentine snooker table cushions, shown after French polishing to match the chosen colour sample.